Although I’ve often thought of myself more as a cat person, the truth is that I’ve rarely met a pooch I didn’t like. Here are a few of the dogs I’ve had the pleasure of meeting in recent years. 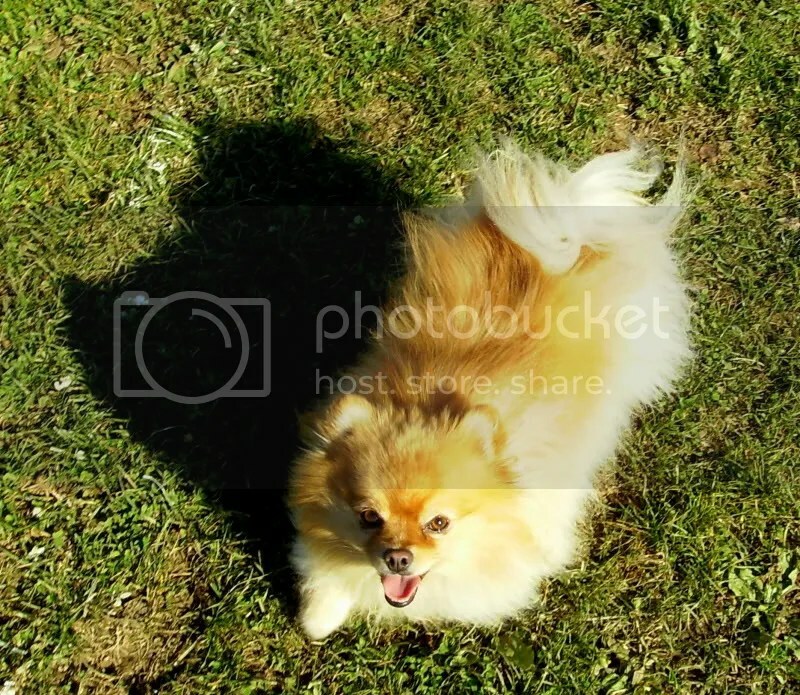 Mia the Pomeranian, with her winning smile. 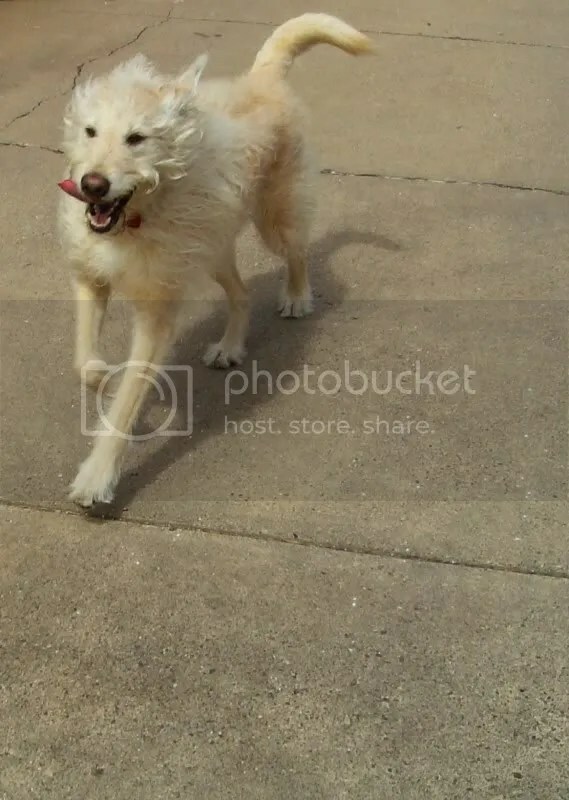 A Labradoodle named Cody frolicking in early spring. 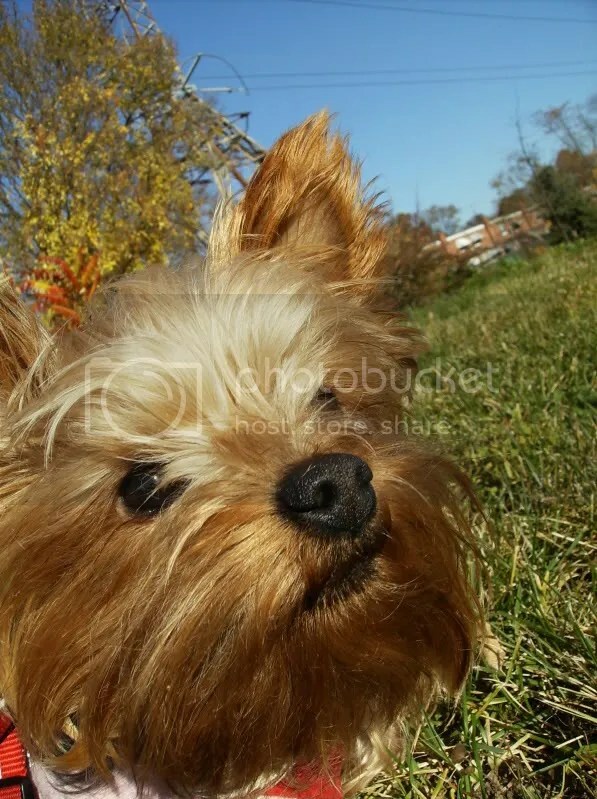 A Teacup Yorkie named Molly soaking up some late autumn sunshine. 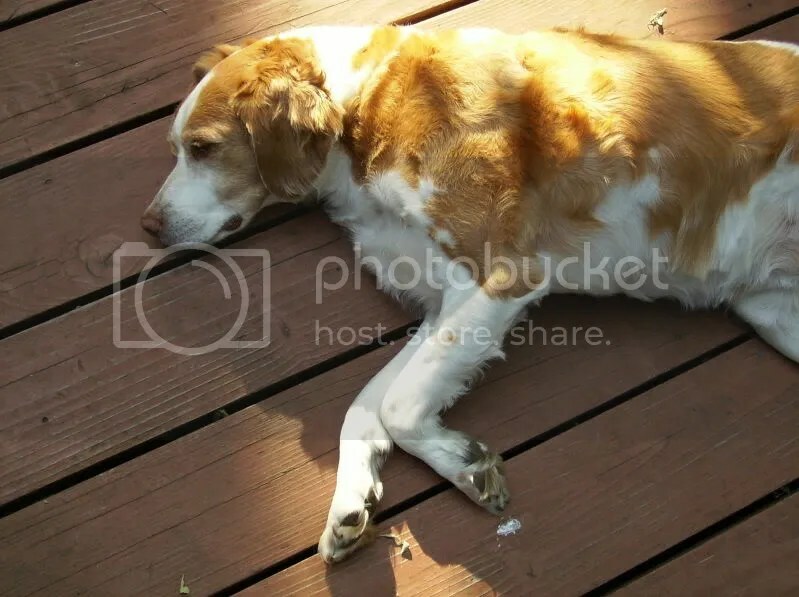 A Spaniel named Macy lounging in the sunshine. 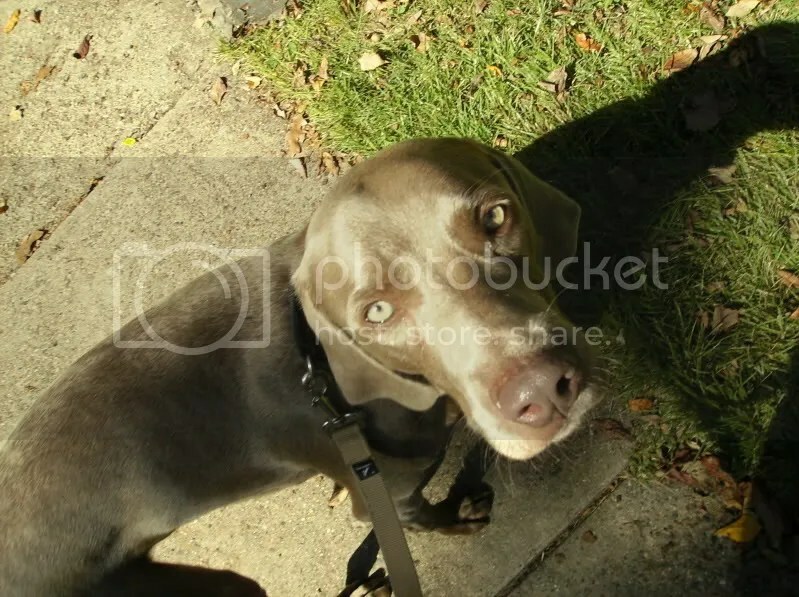 A wistful Weimaraner named Dash showcasing his gorgeous eyes. 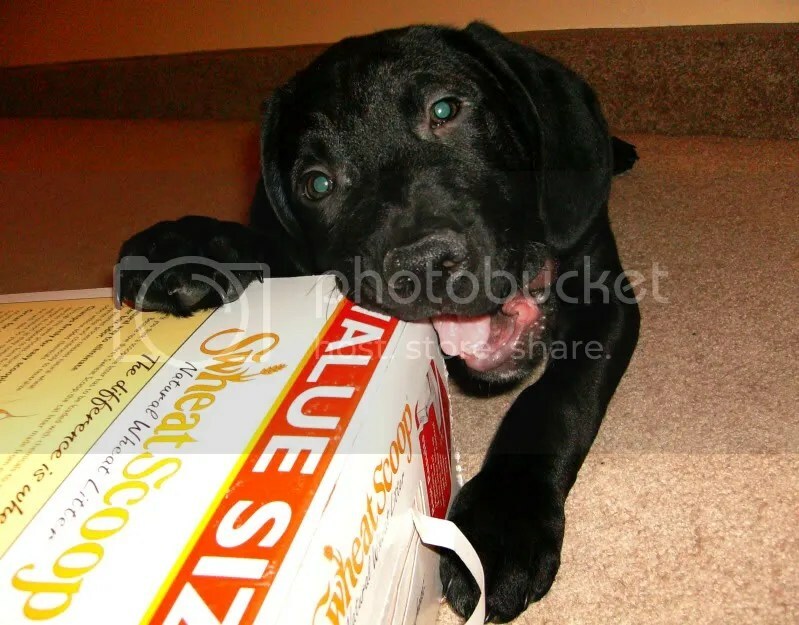 Baxter, a Black Lab/Unknown cross, doing what most puppies do best: that is, chewing. 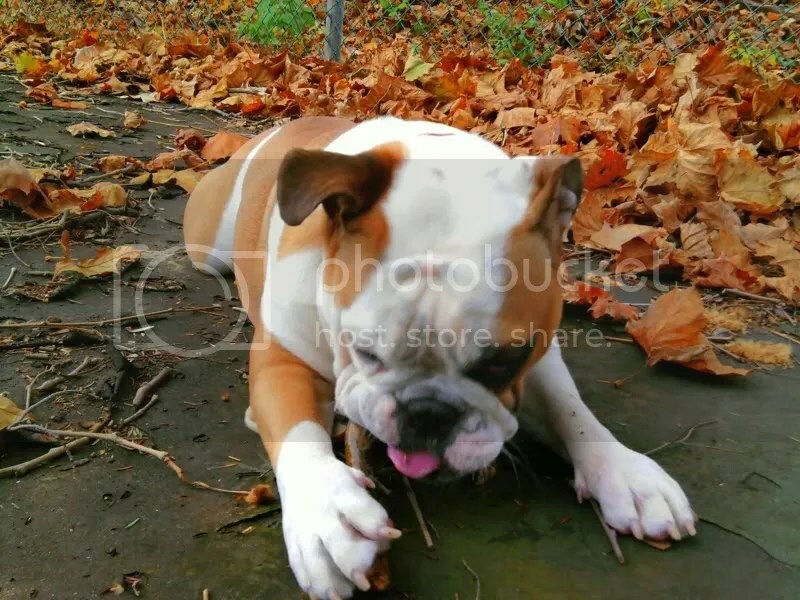 Lulu, an English Bulldog pup, enjoying some quality chew-time with a stick. 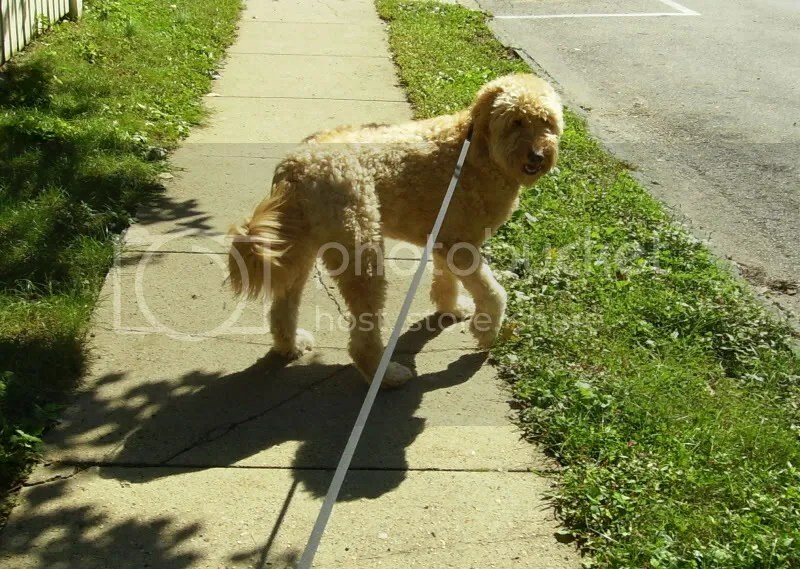 A Golden Doodle named Verona poised to keep on walkin’. 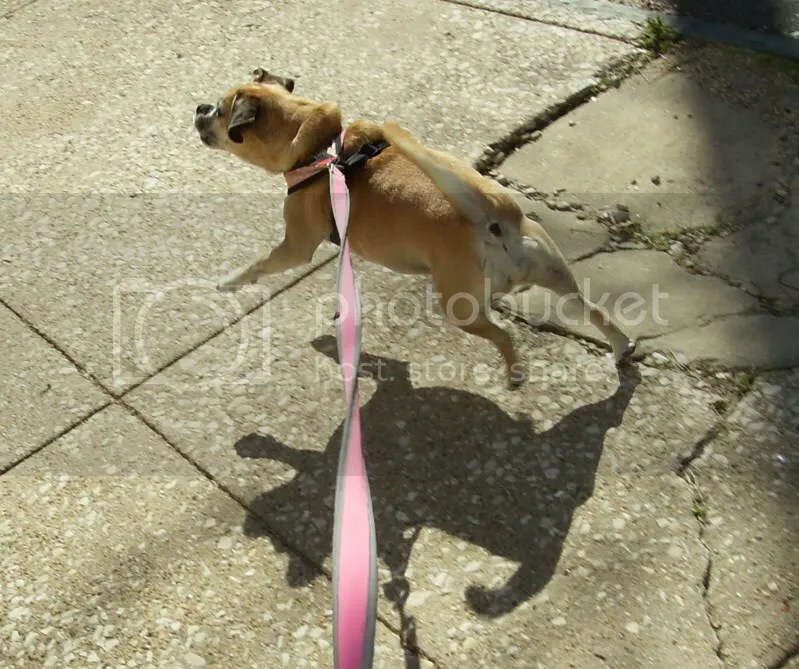 Notice the two leashes. 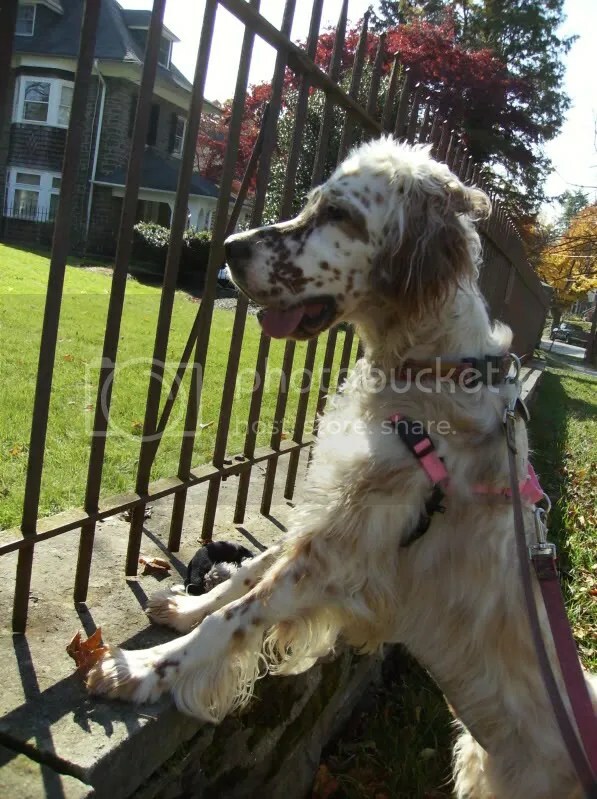 Pippi the English Setter pup (bless her heart) is still learning how to walk without pulling. It takes time, patience, and lots of persistence. 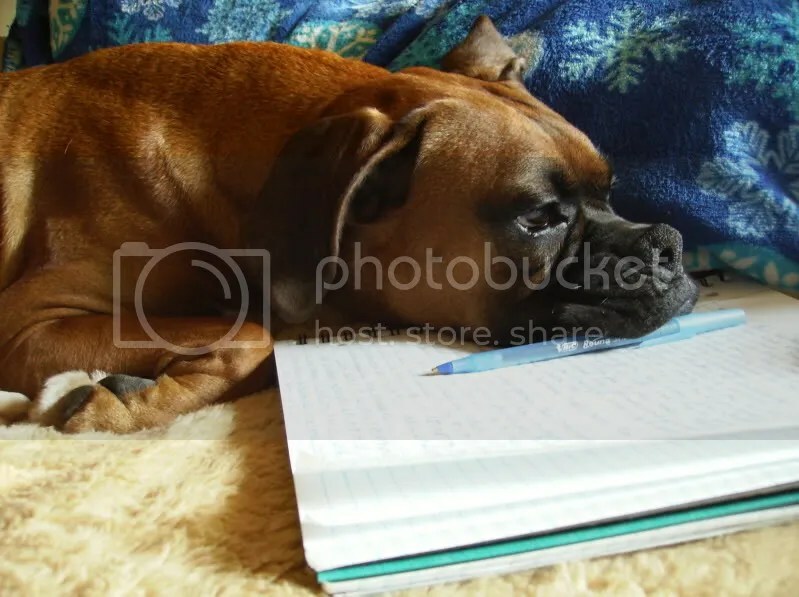 This is Baby Girl the Boxer trying to overcome a severe case of writer’s block. 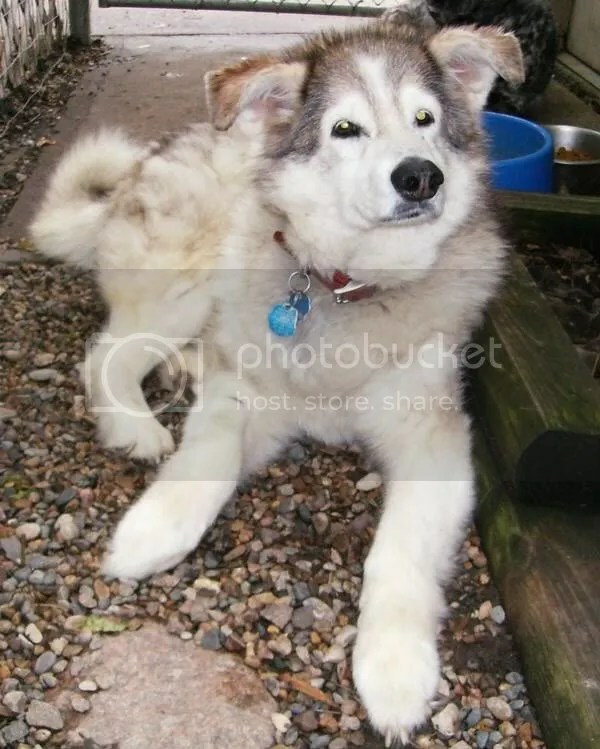 Here is Shadow, the sweetest Siberian Husky you’ll ever encounter. 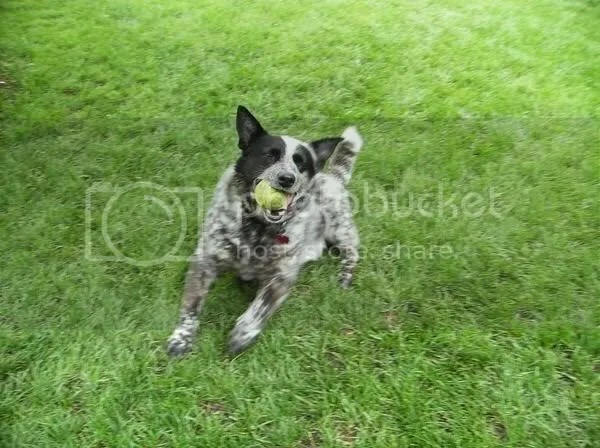 Meet Patches (Shadow’s doggy-brother), an Australian Blue Heeler. 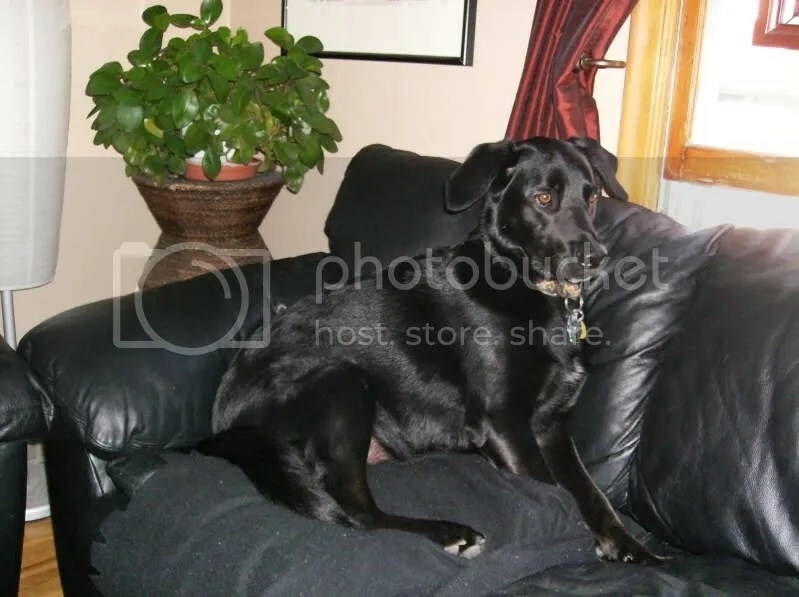 This is Marshall the Black Lab (and also Bonnie’s doggy-brother). 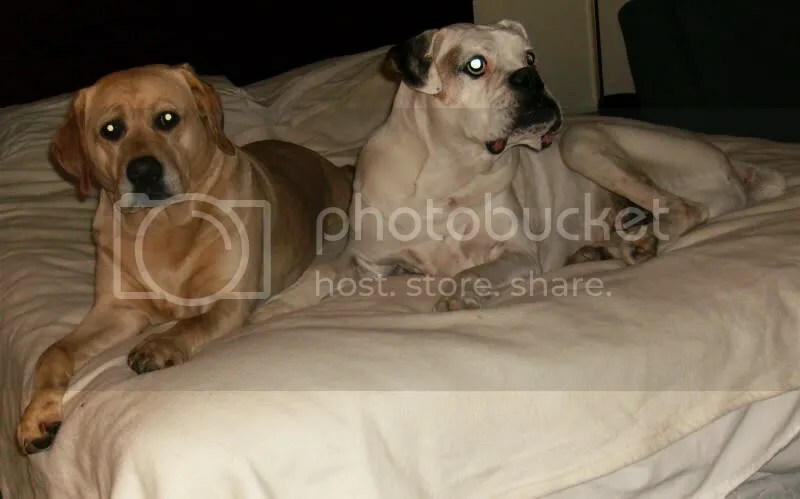 Haley the Yellow Lab snuggling with her doggy-bro, Rocky the Boxer. 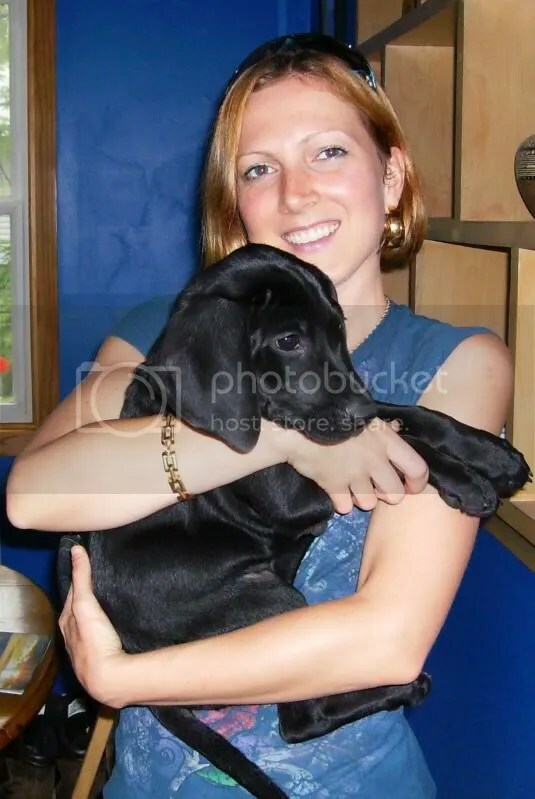 And here I am, cradling Pancho the black lab pup. Check out those enormous paws! 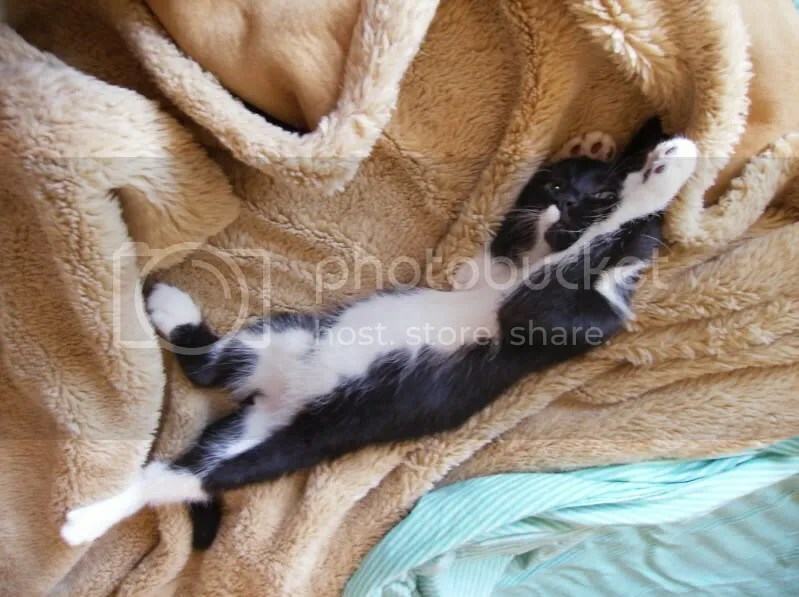 And now for the kitties . 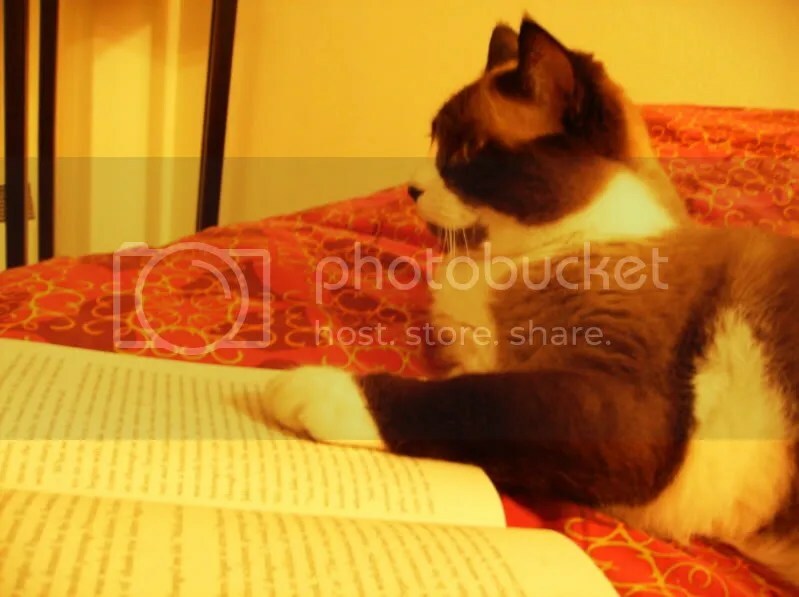 . .
Kitty Miss Kier, taking a break from her voracious reading to pose for the camera. 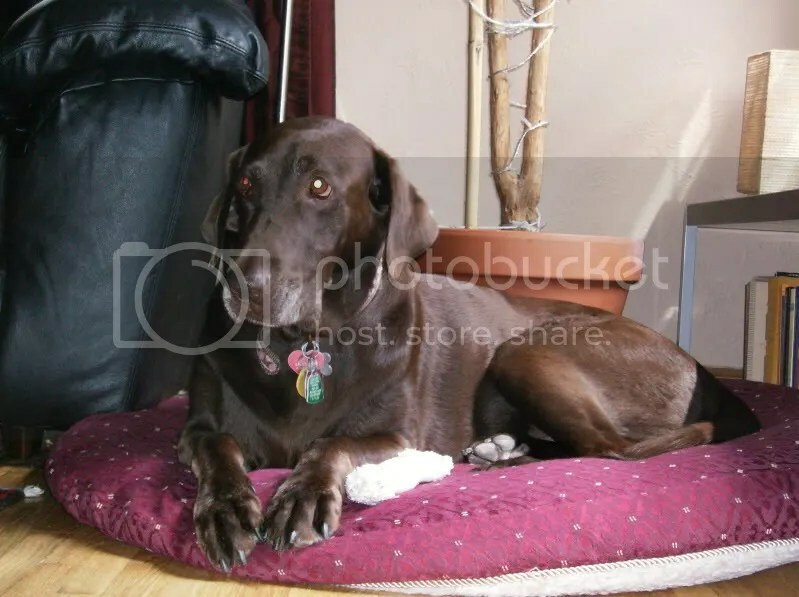 Lots of cute pet photos. 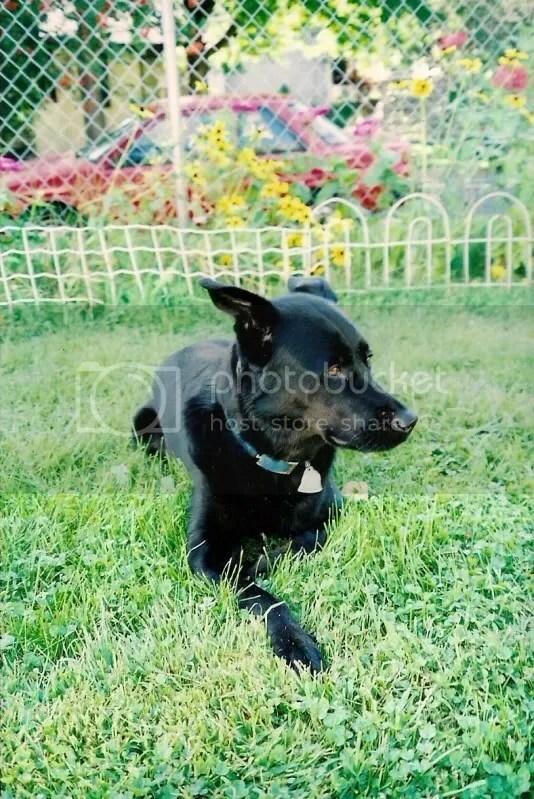 Perhaps you should consider a career in pet photography. Happy holidays to your family as well! Oh gosh this made my evening:-)))) Love my Baby Girl niece and Poncho is also adorable. My heart melts….